I am in a small dilemma. 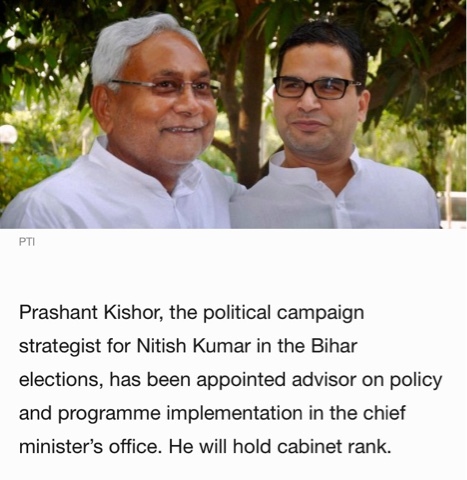 I see The talented youth icon, Prashant Kishore strategically helping Nitish kumar win and rightfully awarded the cabinet rank post in Bihar and Bihar government is rightfully paying a monthly salary I suppose. 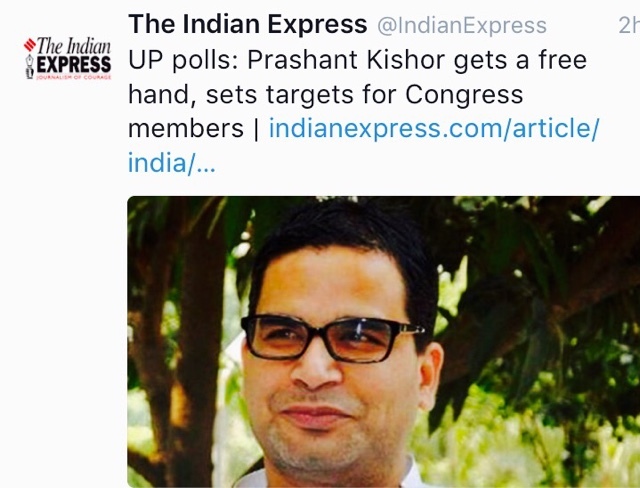 Now he is working for a strategic win for UP for Congress. Is Bihar government paying for the services or he has resigned to join Congress. May the politicians just worry for chair and the chair manager.